why dont you continue your 8th grade story tom? Wouldn’t webmaster SAM catch that!!!!! :) so does Superfolder Kevin! It’s a type of higher functioning autism. It can cause clumsiness, and problems interacting with others. Yeah, this kid that calls him AngusBurger is kinda crazy, but he IS one fo my friends I don’t know why. Anyway, he says it’s medium rare to get an autograph. I swear, he’s a total Harvey that hates O.Y.! um hi how are you. Angleberger is really hard to say. Does he hate Star Wars? Or just Origami Yoda? DARN IT I REALLY WANTED TO KNOW HIS TOOTHPASTE!!!!!!!!!!!!!!!!!!!!!!!!!!!!!!!!!!!!!!!!!!!!!!! I like mint tooth paste. You wanted 2 know his toothpaste!? what does security clearance alphashadow 1 mean??? WHAT IS UR TOOTHPASTE ):!!! It is a secret, dude!!! What is you email address? i cant find it on the website! I LOVE YOUR BOOKS! (i want them to go on forever hah) sorry to bother you! Tom can you help me publish my book when I’m done with it?It is called:STAR WARS THE ORIGAMI WARS. Great! hope you make something stooky! Awesome! Don’t forget to ask the Easter Bunny for Fake Mustache! i was folding a crane when i got sidetracked by a squirrel. i was mad at first but the i saw what the squirrel made me do. i folded an easier kawahata yoda and it looks great! exept for his hand. 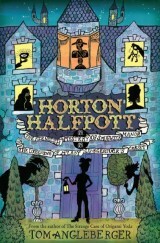 What is Fake mustache and Horton Half- pot about? I only have your origami books. Wow! Thanks for sharing your superpower. I have to confess, I am a mom of a fan, who shares your superpower and loves your books. dude i have that power too!!!! his age is I belive 42. Tom, do you have the force? would you like to join the Dark Side? Good question, but Tom? He would NEVER join the dark side! Is the star going to be Jar Jar? if it is that would be cool. Does the cover star of Book 3 make noises instead of talking? Like, they might talk in the book, but I mean if they talk in the movies. 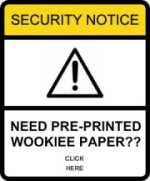 Which would mean if it’s Chewbacca or R2-D2, the answer’s yes. But Kellen is a COOL character! 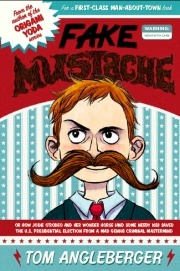 My wife is also an author/illustrator. Her name is Cece Bell. She has written many, many book. Next year there will be a book that I wrote and she drew! I`ll send Boba Fett to find some of her books. Is your toothpaste Tom’s? Serriously there is atoothpaste brand called Tom’s! I’m a teacher in Arlington Texas, and I have a student who would like to mail you a letter as part of the reading program requirement. Can you provide me with an address for mailed letters? Thanks…….recive. letter soon for 18 autographs hmm………. sorry yoda speaking but I want to say what yoda just said only not mixed up………………………….also your books are PLASTIC DINOSAURS(refer to murky to english dictionary)………………………………………………………CCCCCCCAAAAAAAAAAAAKKKKKKKKKKKEEEEEEE!!!!!!!! I have Aspergers too! I see it as a superpower too! wow, we have alot in common! Check out my new blog! Google search: Aidan the Aspie. No, Pi goes on forever! But it starts with 3.1415926535897932384626433832795028841 (Yes, I memorized all of that). TOOTH PASTE IS VERY IMPORTANT!!!! HOW DARE YOU SAY OTHERWISE! IM BEGGING HIM TO TEL US! Your birthday is 1 week from mine(Halloween)! My son saw me looking for something to read one sunday afternoon and he gave me the origami yoda book. I found the cover and title so funny that I said “why not?”. A few hours later I was laughing by myself, and I love when that happens! Thank you. His age is 31 because he saw Star Wars when he was 6, so he was born in 1971. Subtract from 2012, and you will get 31. I thought you saw SW in 1977, or I subtracted wrong. I guess you are …60? 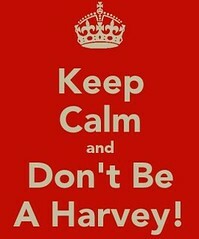 Not trying to be a Harvey saying your old just asking. Could you put a summary (At least six sentences about the new Origami Yoda book you are writing? Thank you, and please answer as soon as possible. Markos, and you probably already know my name. Tom you are the same person as sam riddleberger? that means you must be webmaster Sam!!!! All origami Jedi’s are wise! hey tom i have aspergers too!!!!!!!!! I bet he uses colgate…..
Hi Tom! I’m writing from Italy! My son Mickey is reading your book “Origami Yoda (in Italian LA MIA VITA CON YODA) and he looooves it! We found it a the local kids library and it’s brilliant! Mickey made me a finger Yoda to bring to work, saying that it will help me when I’m stressed! BRAVO! You had a wonderful idea! Really good joke Robby! I am laughing like crazy! I just read it to my parents and they are laughing to! my brother is a origami master!!! he has a app on my moms iPhone. Ya right levi,im the origami king!!!! PS im levi”s brother. 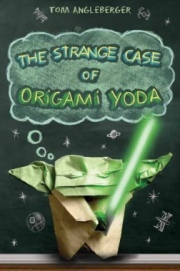 How old are you?I need to know for my report on the your book The Strange Case if Origami Yoda.I would rate it a 4.5 out of 5. Hi Tom. Did you get my pics for OY.com? Is ur tooth paste Colgate? Sensodyne? My name is Shane. I am a humungous fan of yours. Can you tell me what your next book is going to be? I am 8 years old I think you know my dad Brett. 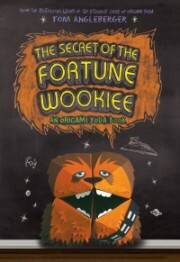 I read The Strange Case of Origami Yoda, Darth Paper and Fortune Wookie. You are a great author! Thanks Shane!!! Say hi to your Dad for me! hey tom…………… it robins daughter do u remember me??????? just finished fake mustache and I <3d it!!!!!!!!! r u 44????????????? come to nc soon!!!!! molly ps that is my fake name do u like it? Thanks for coming to see me at the bookstore! Say hi to your mom for me… I’m glad she “let” me use her story! Hey Tom, my birthday is on Halloween!! Love your books! STOOKY Stuff! Hey my birthday is on halloween as well! 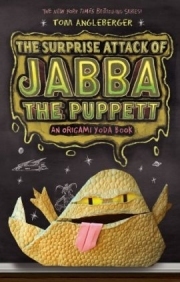 tom, what is the birthday of the origami yoda books???? when did you publish it???? PLEASE ANSWER! Let’s see…. March, 2009, I think! Tom im going to tell you something so cool ok wait ……. I KNOW WHAT TOOTHPASTE YOU USE!!!!! But I wont spread the rumors ok were cool right. Tom Angleburger! its me Silas and Kellen and Lerena. remember us? we are Carries kids and were coming to see u at William and Mary this morning! Thanks for coming guys! It was a lot of fuN! Or maybe instead of obi wan it could be “The Return of The Foldi”, like return of the jedi! may the folds be with you! Hey Tom I really like The Secret of the Fortune Wookie! I am 9 years old and in 4th grade! When are you going to write a new book? You should write one about Han Solo! He can’t because Han Foldo was on the back of the fortune Wookiee. Stooky,Julian~! Im 10 and in 4th grade!!!! How did you become a writer Tom? I am doing a project at school and I need to know. In the fifth grade I won $10 for coming in second in an essay contest!!! 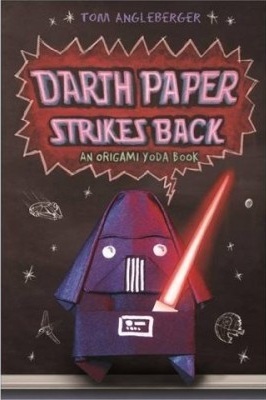 Maybe your next book could be Origami Yoda and the Darth Mall. If you tell your toothpaste and age I’ll send in the cover yoda instrux (clear). p.s I ‘m your number 1 fan of the strange case of origami yoda, darth paper strikes back, and Secret of tthe fortune wookiee. No Jonah EVERYONE HERE ARE HIS BOOKS NUMBER 1 FAN!! !ESPECIALLY ME AND MY PLO-KOON!!! my yoda’s toalltal stookieness dude. Can you but the instructions of how to make an origami darth maul. 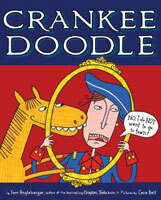 You illustrate your own books? Cool! Dear Mr.A I got your email and I thank you for that.Also I noticed in the message you wrote put some cool stuff on your website well I will . That’s awesome!!! Send in apicture! hahahaha! i love leaving people hanging! I LOVE AND LOVE AND LOVE YOUR BOOKS THEY ARE SO EPIC CAN YOU PLEASE PLEASE 100 PLEASE PUT THE NAME KEVIN AS SOME ONES NAME!!!!!!!!!!!!!!!!!!!!!!!!!!!!!!!!!!!!!!!!!!!!!!!!!!!!!!!!!!!!!!!!!!!!!!!!!!!!!!!!!!!!!!!!!!!!!!!!!!!!!!!!!!!!!!!!!!!!!!!!!!!!!!!!!!!!!!!!!!!! I have an addiction to these books!!!! He is NOT 26. My dad saw star wars in theaters when he was 3 tom said he saw it when he was 6 so Tom is 43-45 years old. I mean 42-44 years old. I just did a book report on TSOTFW. Uh, is that picture at the top from the bath literature festival? I was there and I remember you doing that to a young girl. I cant wait for Art2 D2’s to be released in March. Lawn mover assembler? Wow. Great job! What was your fav to assemble? dose that explain why tommy/harvey like empire strikes back also? I used my iPad calculator and it said that he was 42. 1977-6= 1971 so that’s when he was born. And 2013-1971= 42. Then how would that make sense? Unless you were born in 1970 or 1972. Tom, my book report says: ” What kind of tooth paste does Tom angleberger use?” If you dont tell, then I guess… Crest. what is your age,most honorable award, and 4 gifts you would want me too send you? Are you at least the same age Jeff Kinney is? Love. Your books. ….make more awesome. Ones.,……. dude i have an hour plase tell me! I really love your books. Can you write an Oragami Luke book!?! Tom, are you coming to New York anytime soon? If you are coming that would be totally stooky!!!!!!!! What’s with the security clearance? Tom,tooth that is stooky needs too have force toothpaste.WE MUST KNOW YOUR TOOTHPASTE!!!!!!!!!!!!!!!!!!!!!!!! GOOD FOR YOU IT IS!! Well what the heck is asperburgers? Aspergers “Syndrome” is the name given to people with a certain sort of autism. Hi I am Mateo I am A BIG FAN.! I read all of your books but art2d2!!! I made all of the origamis ! !😼🙀 I am 9 years old ! I hope I see you on June 28th at the magic tree book store!! I would love to To writte about you in a yong author book! I’m trying to get art2d2 …but I’m also getting yugioh cards on amazon. How much is art2d2 ? guys, stop asking him about his toothpaste! u guys r stalkers!!!!! I think he is, 1,000,000 years old. And when is your next book coming out? May I have your email?! Oooooooooooooh. How do you get those cool symbols? I read all the origami yoda books and I want to be an origami master. I made so many yodas that I couldn’t keep them in my backpack anymore . look i know you put top secret of the part of u say where u live. but i am asking to know where you live so i can mail you a really cool darth maul. i wont come and rob your or something. i just want you to have my darth maul. you can ask where i live so u can take it if that will work. u could email me and tell me. he is the one from the picture of me and him. WANT TO WRITE ME A LETTER? Emails are much much faster, but if you don’t mind waiting, I’d love to get your letter! send it to: Origami Yoda, Amulet Books, 115 W. 18th St., New York, NY 10011. PLEASE PLEASE PLEASE include an extra envelope with your address on it, so I can answer your letter. Tom, all the book reports say, “What is this person’s toothpaste.” I’ve gotten 80 on all of them because I can’t get your toothpaste. Tom, I did the math, and the only logical years you could’ve been born in are 1970, 1971, and 1972 unless you were born in Korea because they make you 1 year old when you are born. I don’t think he was born in Korea. Hi Tom, I’m a huge fan of your books. I even wrote one of my own about a jawa puppet. How did you come up with origami yoda?, the story, I mean, anyways I’m writing a paper for about you and I want to know! Thanks! where do you get origami paper? 1. 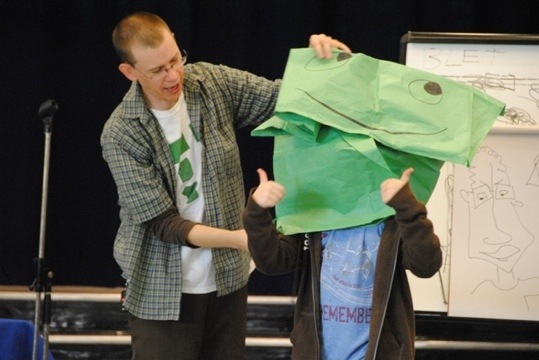 How were you inspired to use origami in your origami yoda books? 2. How do you figure out how to fold the origami star wars? 3. How do you think you have done so far in your career? Thank you for writing the origami books! I have all 4 and have pre-odered the 5th! 1 & 2 answers are everywhere, but no one has asked me #3 before. I love my career! I am a professional nerd! It is SO much fun! Well, I just experiment. I make a lot of mistakes, but those can be recycled…. Most of the origami uses the same basic folds. I change a few angles here and there and presto… a new character! what fonts do you use for Mike , Remi, Rhondella and Quavando? Everyone on the website , I’m going to do a monthly minecraft creation . It’ll start On July 5th, and I’ll make Star Wars ,TSCOOY , Fake Mustache ,etc. I hope every body is O.K with this. Hope you guys like it : ) . P.S I ‘m going to make the creations on minecraft Pocket Edition because it’s easyer to take a snap -shot . PPS. Have a great summer : ) ! I love how great you are staying on top of negative comments posted on the blog and elsewhere – you are such a great role model! Keep it up. Tom, which character has Jabba the puppet? also how old is web master sam? Your books are awesome!Cant wait for the new one!!!!! !